Scholars think the Historical Jesus probably did not have a halo. Jesus of Nazareth may be the most important person in the history of Western Civilization, but we know little about him. As with most ancient persons, our sources for the life of Jesus are few, contradictory, and mixed up with myth and legend. It’s not surprising that scholars and religious groups assert radically different ideas about who Jesus was. Another problem is that for most of history, scholars didn’t even try to use objective scientific/historical methods to find out who Jesus was. Historical Jesus research is a young, exciting field of study, with important new works being published each year. For most of history, Jesus was simply worshiped as the Christ. The historicity of the gospels was assumed, even though the contradicted each other. The historical Jesus was the Jesus of faith; Jesus was whoever your flavor of Christianity told you he was. Seventeen centuries passed before scholars tried to reconstruct the historical Jesus from the evidence. Thomas Chubb (1679-1747) questioned religious morality and demanded that dogma be subject to reason. He defended Christianity and argued that Jesus’ core message was the imminent Kingdom of God and good news for the poor. H.S. Reimarus (1694-1768) denied miracles and listed contradictions in the Old and New Testaments. For Reimarus, Jesus didn’t want to supersede Judaism with his teachings. The disciples, dismayed that Jesus’ predictions didn’t come true, stole his body and then invented stories about him to support their individual theologies. Martin Kahler (1835-1912) drew a distinction between the historical Jesus and the Jesus of faith, and said we should let the Christ of faith replace the historical Jesus. Emil Schurer (1844-1910) helped launch the study of ancient Judaism, though it was seen as merely the “background” for the New Testament. Albert Schweitzer (1875-1965) shook things up in 1906 with The Quest of the Historical Jesus. He showed that these scholars and more had only “discovered” a Jesus they wanted to see, and did not employ rigorous and disinterested research. Schweitzer’s own theory was that Jesus was most concerned with the coming end of the world. Rudolf Bultmann (1884-1976) launched Form Criticism, the study of the literary forms in the gospels. He defended the idea that Matthew and Luke are dependent on Mark and a lost book called Q, now the dominant scholarly opinion. He attempted to “demythologize” the gospels, hoping to ignore superstitious claims about the virgin birth of a god-man while focusing on the symbolic truths of the gospels. The Old Quest was heavily driven by theology, and paid little attention to archaeology or historical method. Still, it was the first attempt to understand Jesus apart from church dogma. In 1953, Ernst Kasemann argued that we can discover more about Jesus than his teacher Rudolf Butlmann thought, and that the historical Jesus is crucial for authentic Christian faith. The creation of Israel in 1948 brought renewed interest to the study of Judaism in Jesus’ time, and the discoveries of the Nag Hammadi library (1945) and the Dead Sea Scrolls (1947) brought archaeology and textual scholars into the field of Jesus research. Other New Quest writers include Gunther Bornkamm, W.D. Davies, John A.T. Robinson, and Edward Schillebeeckx. By the 1980s, something new was happening. Theological concerns diminished, and scholars used scientific historical methods to discover the Jesus who actually lived in history. New Testament scholars joined with experts in ancient Judaism, textual critics, sociologists and archaeologists. Major scholars of the Third Quest include David Flusser, Geza Vermes, E.P. Sanders, Marcus Borg, James Dunn, N.T. Wright, J.P. Meier, John Dominic Crossan, Gerd Theissen, Paula Fredricksen, Gerd Ludemann, Bruce Chilton, Gary Habermas, and L.T. Johnson. In 1985, Robert Funk founded the Jesus Seminar, a group of about 150 scholars in biblical studies and related fields. They discuss the historical Jesus and then vote on what they think is historical or not historical. Also, the Committee for the Scientific Examination of Religion launched The Jesus Project this month, another gathering of scholars to investigate the historical Jesus. 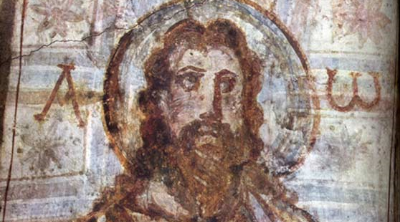 Due to inevitable prejudice and the scarcity of good evidence from Jesus’ time, modern scholars have a wide range of opinions on who the Historical Jesus was: Jesus the Myth, Jesus the Wisdom Sage, Jesus the Social Prophet, Jesus the Savior, Jesus the Hellenistic Hero, Jesus the Apocalyptic Prophet, and more. New discoveries and perspectives are also being drawn from existing evidence. Dennis MacDonald recently found that some gospel stories emulate the Homeric epics in great detail. Next year I look forward to new books on the historical Jesus from Richard Carrier and Robert Price. Though the scientific study of the historical Jesus has just begun,1 we should be grateful for the current state of Jesus research. By comparison, the Quest for the Historical Muhammad has only just begun, and similar quests for a historical Buddha, Abraham, Lao Tzu, or Socrates may always be impossible. It's important to remember that many of these scholars consider themselves to be Christians and treat the works with respect even if they don't believe them to be fully historical. I no longer believe the core beliefs of Christianity to be true, but I still appreciate reading the works of many of these scholars. John Dominic Crossan has a unique perspective and has a deep knowledge of the social, cultural, and political issues happening during the first few centuries CE. I think many Christians would benefit from reading his works even if they don't agree with his conclusions about the bodily resurrection of Jesus. I have a much greater appreciation for the literary devices used in the gospel of Mark. I think Richard Carrier said something to that effect in a recent debate. I thought I’d make a comment here too, to follow up my comments elsewhere. For I too have made quite a study of New Testament history, read a heap of different authors, and drawn some different conclusions to yours. Again, I’d like to share them with you. 1. Most NT scholars that I have read seem to be in divinity schools, not history schools; hence they are perhaps more theologians than historians. And I feel it is this that makes them more prone to divergence of view. There are obviously many scholars (e.g. Craig Blomberg, LT Johnson) who are well qualified, but who write from a christian apologetic position. However they may be helpful to christians, they are of less value when determining the objective facts. At the other extreme are scholars who start from sceptical assumptions, which makes them effectively sceptical apologists (e.g. Bart Ehrman, the Jesus Seminar). They likewise are less useful for determining objective facts. So I have tended to give less weight to scholars at both extremes, and take most notice of those most respected by their peers and clearly in the centre of scholarly opinion. My reading suggests that Crossan, Borg, Vermes, Sanders, Meier and Wright may be the most respected of the established scholars, with a few others beginning to gain a reputation. 2. Better still is to find ancient historians with a wider view than just the NT, who bring to the NT the same methods that they use on other documents of comparable date. I have found three older historians (RL Fox, M Grant and AN Sherwin-White) to be useful, because of their enormous experience in the history of the Roman Empire, but I am looking to find some comparable names among younger (and living!) historians. Again we come to our differences. I find that these historians and scholars generally come to less sceptical views about the life of Jesus than you have outlined here and in your interesting Rediscovering Jesus post. This comment is long enough, so I’ll leave that to another comment. But you have probably read more widely than I have, so I’d be interested in your comments. PS. I must be thick, but I think I’ve figured out the HTML now. Step 2. Applying what the most objective historians & scholars say. How reliable is the New Testament as history? while there appear to be some historical discrepancies (e.g. it the birth stories), the accounts are consistent with external accounts and archaeology. How much can we be confident we know about his life? his tomb was really empty and his disciples “saw” him (in what sense is uncertain) after his death (E P Sanders: “That Jesus’ followers (and later Paul) had resurrection experiences is, in my judgment, a fact. What the reality was that gave rise to the experiences I do not know.”). Even the sceptical Jesus Seminar agreed that the resurrection stories were very early and that some resurrection experiences occurred, though they didn’t think they were “real”. That is a fairly comprehensive list – and note that Michael Grant was an eminent historian of the Roman period, author of more than 50 historical books (only one about Jesus) and he was not a believer. On this basis, it seems to me that the most unbiased, respected and experienced historians and scholars provide good reasons to believe that we have good knowledge of the life of Jesus. And that is enough for me to base my faith in Jesus. I understand the need to trust scholars. I have to “trust” what physicists say about quantum mechanics because I can’t do the math myself, and don’t have time anyway. But I’d rather not trust scholars about something with such incredible cultural and religious pressure behind it. I can’t think of anything in history more apt for the pervasive influence of bias than study of the historical Jesus. And scholars do greatly disagree about the nature of the historical Jesus. In addition, it seems to be the mainstream scholarly view that Jesus was a Jewish apocalyptic prophet – a failed one, since the end of the world, once again, did not come. So even the mainstream view of Jesus is rather damning of the grandiose claims of Christianity. I have no idea why you would think the gospels are eyewitness account. This is the most disappointing thing I’ve seen you write anywhere. As for the textual reliability of the NT, it is indeed better than with any other ancient text, although even Christian scholars know there are probably a few dozen interpolations even when looking at our earliest manuscripts. But this just means we have a particularly well-preserved myth. Again, this is just a brief reply to your message. It is the mission of this blog to explain what I mean in more detail and with more rigor as I publish my posts. I’m sorry to keep saying “Please wait,” but I’ve attracted a lot of attention from intelligent theists and they all want to see my “refutation” of a thousand different arguments and I don’t want to do it half-assed in the comments. But I appreciate every argument and piece of evidence you want to post here. lukeprog: I understand the need to trust scholars. I have to “trust” what physicists say about quantum mechanics because I can’t do the math myself, and don’t have time anyway. But I’d rather not trust scholars about something with such incredible cultural and religious pressure behind it. Yes, I agree. I won’t outsource my reasoning and conclusions, but I must rely on scholars for the historical facts, or the closest historians can get to facts. And that is exactly what I have done. I don’t think that’s the mainstream at all. When I read the experts, they all have a slightly different slant – cynic philosopher, marginal Jew, apocalyptic prophet, true Messiah, etc. But that is interpretation, and what I am looking for from the experts is what they conclude are the historical facts. BTW I think many are mistaken in their interpretation about the end of the world. I studied Matthew 24 long before I heard this view, and concluded that almost all of it applied to the immediate future; not to some end of the world, but the end of the Jewish world as they knew it. And that happened. lukeprog: I have no idea why you would think the gospels are eyewitness account. This is the most disappointing thing I’ve seen you write anywhere. I’m sorry to disappoint you! : ) But it is as well based as the other things I wrote. Note I said “the gospels are based on eyewitness accounts, although these accounts have been filtered by the early church”, and that is what the experts say. It could scarcely have been otherwise as 3 of the accounts were written down within about 30-50 years of the events, based on earlier oral accounts. I will give you some more detail if you like, but I am going away for a few days, so it will have to wait until I get back. Again this is just not true. “Myth” is not an appropriate word. The experts have concluded the gospels are history and biography as understood in those days, though slightly different to how we would use those terms today. Definitely not myth, definitely definitely not “extreme myth”, though there may be some mythical or non-factual elements and certainly lots of interpretation. Again, I’ll flesh look at this further when I get back. I’m going to zoom in on the myth issue. How are the gospels not obvious myth? From beginning to end, all of them are full of things we know to be either impossible or extremely improbable. They are filled with stories of magic. They are written very symbolically, with the facts deliberately modified to fit each other’s theological leanings. Even Mark’s “sparse” account has deliberate themes, and his stories directly imitate well-known myths from the Homeric epics and several mystery religions. On what grounds do you call the story of Peter raising a tuna fish from the dead a myth, but say the story of Jesus giving the disciples magical immunity from poisons NOT a myth? My guess is it’s because one of these stories appears in a book later selected as canonical, and the other does not. But that’s only a guess… I’ll try not to put words in your mouth. I have much to say about all these topics, especially the claim of eyewitness accounts (certain parts of the gospel supposedly HAD no eyewitnesses, for one thing), but as usual I’m going to defer to a time when I can prepare some proper posts. lukeprog: I’m going to zoom in on the myth issue. How are the gospels not obvious myth? Luke, “myth” is a word with a fairly specific meaning, and should be used more carefully than it often is. If you check out the academically “correct” meaning (look it up on Google, and try Wikipedia) it is clear that the NT is not a myth in that sense. lukeprog: Even Mark’s ….. stories directly imitate well-known myths from the Homeric epics and several mystery religions. lukeprog: From beginning to end, all of them are full of things we know to be either impossible or extremely improbable. I presume this is what you meant by myth, that the NT is simply not factual or believable. And here your argument is circular. We have material which I have previously shown is accepted as basically historical by secular historians, about a person claiming divine powers. To simply say they can’t be true begs the question. To make this claim, you surely have to construct a theory that fits the facts – which includes the sociopolitical-religious situation in 1st century Palestine, the relatively early dates of the gospels, the even earlier dates of the oral tradition, the lack of mythological material in the gospels compared to the later apocryphal writings, the firm conviction even under persecution of the first believers, the arguments of christianity’s opponents (and the things they didn’t say), etc. lukeprog: On what grounds do you call the story of Peter raising a tuna fish from the dead a myth, but say the story of Jesus giving the disciples magical immunity from poisons NOT a myth? My guess is it’s because one of these stories appears in a book later selected as canonical, and the other does not. I think you have the cart before the horse, plus you are guilty of using emotive and inaccurate language (“magic”) rather than good historical argument. Further, the immunity from poisons is in a disputed section of Mark, and is a poor example of a miraculous thing which historians can address. But if we take miracles of healing or of the resurrection, then my previous quotes from scholars shows why they can reasonably be believed. And that is why the gospels are canonical and the apocryphal gospels are not. lukeprog: I have much to say about all these topics, especially the claim of eyewitness accounts (certain parts of the gospel supposedly HAD no eyewitnesses, for one thing), but as usual I’m going to defer to a time when I can prepare some proper posts. Oof. Yeah, I disagree with almost everything you say there. But I’ll not respond until I have time to actually write up full posts on these subjects, with proper citations and everything. Luke, just a couple of references re NT as myth and eyewitnesses to tidy up some loose ends. Historian Robin Lane Fox (in his “The Unauthorised Version”) treats the NT documents as broadly historical and considers John’s gospel to be written by the apostle (and therefore an eyewitness). Historian Michael Grant’s “Jesus, an historian’s review of the gospels” likewise treats them as broadly historical. In the “Cambridge Companion to Jesus”, J Paget of Cambridge University says that the gospels don’t attempt objective history, but mixed objective history and interpretation or belief. Richard Bauckham’s “Jesus and The Eyewitnesses” is a relatively recent study summarising the evidence for a substantial eyewitness basis to the gospels, and while this isn’t the dominant view, I understand that he has strengthened the case for this and his views are endorsed by noted NT scholar NT Wright, though not fully by some others. I could provide more, but that gives you a brief picture. You will of course find sceptical scholars who say different things, but I stick by my two previous statements that (1) the mainstream view is that the gospels are not myth but biography/history with a significant amount of interpretation, and (2) because the gaps between events and writing are relatively short, behind the interpretation lies genuine eyewitness accounts that have not been totally obscured. I’ll leave it there. Thanks again and best wishes. The historicity of Jesus is not a slam-dunk. It is in fact quite poorly supported. Which “eye-witness” gospel Biographies are you referring to…you mean the ones that Eusebius & company endorsed in the 4th century CE? Not the other many eyewitness gospels in circulation prior to that? Those “authentic” eyewitness biographies must have been pretty important to the early church. When do the early Church fathers first quote from these inspired works? When can we be sure that someone had a copy of Mark’s gospel in their hands… (besides the plagiarizing authors of Luke & Matthew that is)? My attempts to answer this question have made me very doubtful that these were written anywhere near the time of their esteemed subject. (For example: the anonymous author of what was leter called Luke, clearly had access to Josephus’ works placing his authorship after ~94 CE.) The first clear references to the canonical gospels do not actually appear until the late second century. Isn’t that odd? Read some of Earl Doherty’s stuff. ( http://www.jesuspuzzle.com/ Click on the red link several times to open up the real index – poor site but great reference.) He does a great job of examining the second century apologist works. (BTW “Second” century apologists as it is difficult to find any “Christian” literature dating back to the first century CE… in fact Gospel Jesus believers aren’t in evidence until the late 90′s at the earliest). Another thought provoking book to stir your pot would be Freke & Gandy’s book: The Jesus Mysteries ( http://www.amazon.ca/Jesus-Mysteries-Timothy-Freke/dp/0722536771/ref=sr_1_1?ie=UTF8&s=books&qid=1246137292&sr=8-1 ) They suggest that the original Christians were gnostics who worshipped an ethereal Logos Christ that only became historicized by later literalists. They reference their case well & make a good argument for their hypothesis. Anyways, your scholarly consensus is of limited value if the consensus is based on everyone accepting each others’ assumptions. Have a look at the evidence and a few of the dissenting arguments for yourself & then maybe you might see how uncritical and superficial the experts’ (and apologists’) assumptions really are. I’ve covered all this material for years, informally, and have studied or glanced at most of the arguments. The only appropriate response is to hold that miracles such as walking on water, ascending to heaven or raising the dead just do not happen, EVER. As to the rest, Jesus was a religious loon, believing in the Jewish War God, the “Kingdom of Heaven” and punishing people forever in lakes of fire for doubting his insane beliefs. As for his teachings and behavior (non-miraculuous) I care not whether any of them are true. Sure, he could well have existed, but so what? Thousands of other religious figures have come and gone. They are a dime a dozen. We should be spending more time on overpopulation, a dwindling food and water supply, egregious pollution, curing disease and curtailing global warming instead of endlessly picking at scabrous fairy tales for adults. (But keep this excellent blog going in the meantime while we adjust our priorities). Thanks. Your No Quest section is misinformed and misinforming. Let me attempt to expound. Indeed, for much of that time period the Church blindly accepted the faith of Christ without regard to the historical truth about Jesus. However, you have included “26-,” and this statement is not true for the first century or longer. Jesus was not simply worshiped as the Christ. The first who believed had seen or heard or known or followed him; then they passed on his teaching to those who came to believe after. Further, the purpose of the genealogies of Jesus’ ancestry in two of the Gospels was to show who he was and from where he came. 2. “The historicity of the gospels was assumed, even though they contradicted each other.” This statement is twofold in factual error. A) The historicity of the gospels in the early Church was not assumed; quite the contrary, the historicity was well-known (again speaking first, second century) as the recipients of the gospel letters (the early Church) knew who wrote them. people’s faith. He was then well-trusted by the early Church. by the Church who planted many of the churches around the Roman Empire. overseer of their faith. John knew Jesus personally as a friend and follower. Further, many different and false gospels were written and being taught at the same time period. Therefore, the historicity of the Gospels could not be assumed, they had to be carefully evaluated for their accuracy and truth. They would not just accept any gospel, for then there would be decades more gospel accounts. The result was a collection of four accounts which were absolutely accurate and true to the actual events, the Word of God. The fact that there were many differing claims about Jesus led to the Church’s careful evaluation of historical authenticity and authorship reliability to find the one true Way, and to proclaim nothing other than the truth. Thirdly, in the first and second century, the gospels were not blindly assumed to be true, because the writers would never get away with it. The events were fresh; people did not forget the Jesus of Nazareth who so recently walked the earth. The other people in the church who had known Christ and followed him would not accept a writing even from an apostle if it did not match up to what they had seen themselves. B) “even though they contradicted each other.” Back it up with examples if you can. I will even go so far to say that the whole Bible itself does not contradict itself. All of it lines up. I will provides examples if asked; it is too much to say right now. Seriously, are you trying to convince people to discredit the Gospels without even cracking them open? Show me where you think they contradict, and I will show you that it does not contradict. Jesus is displayed as one person throughout the New Testament; the facts recorded are not contradictory. Hebrews 11:1 says “Faith is the assurance of things hoped for, the conviction of things not seen” You said “The historical Jesus was the Jesus of faith.” However, you are not properly using the word faith. Faith is not a blind step in the darkness. Faith is, according to the Word of God, “assurance.” It is a confident trust in revealed truth from the Word of God, and comes from God (Phil. 3:9-10). It rests on God’s reliability in His Word. He is faithful (or reliable) to do what He says. Faith differs from “belief.” Anyone can believe whatever they want (indeed, our culture’s anthem), but faith is assurance, confidence, and based on truth, not on a whim. This is why the early Church leaders (such as Paul) so fervently sought to refute all the false doctrines that were springing up, because the faith was the one Way, based on the revealed and fulfilled Word of God in Christ Jesus. One of Paul’s biggest themes was the singleness of Christ (“For to me to live is Christ,” “I count everything as loss because of the surpassing worth of knowing Christ”) and the true doctrine. He worked against false doctrine because he knew Christ, the true Christ, Lord of the universe. I write to you to clear up what you wrote about the “No Quest,” of which you have included very little content, and no factual nor (ironically) historical content. I write about this early time period because it is such a crucial time period of the Church, a time when the Church came to be able to find itself and define itself in the truth of God through the refining fire of all the heresies present at that day. Indeed, it was a fire. The people who preached what we now have as the Bible were persecuted for their faith and teaching. If we are to consider the accuracy and reliability of a text and a Person (Jesus), then we should consider the people who went so far as death to preserve the teaching as it truly happened and who went to death for the One Whom they knew as Lord. The fact that they died for it does not prove it true (look at terrorists), but the fact that mass amounts of people did not willing lay down their lives for the false teachings as people had for the one we have today proves the false teachings untrue. The fact that people died for this gospel does not prove it true, but maybe the fact that people died for it and yet people still kept coming does prove it true. Is Christ worth dying for? But I also write so that people may not just take things as people say (as you say to them), not just at face value. I write so that people may possibly see that in Christ is the truth, I mean not merely the accuracy and reliability of the Word and Gospel but also as the truth of life today, by which can we receive true life here and forevermore. This is no myth. It is a preserved account and a work of the Holy Spirit within true believers like myself. I say “true” believer because many claim the title “Christian” but their lives are far from God’s Word. Do not let them lead you astray from the true Christ. I will hang around for any questions or further discussion. Really- the scholarly concensus is that jesus was an apocalyptic prophet. According to wikipedia- most scholars believe he was a wisdon sage (about 3/4 to 3/5 of scholars think this). Furthermore, it seems like their is a wealth of books out their that disprove the idea that jesus believed the end of the world is coming (Like Crossan’s work). even though the contradicted each other.
. I’m not a native American man, but perhaps you should have typed “it” instead of “the”.